Watch “Big Fish,” the first People’s Sculpture Racing video shot and produced by PSR team member Rock Louis! This is a short documentary about the collaborative project between PSR team member William Turville and the Musketaquid Arts & Environment program at The Umbrella in Concord. 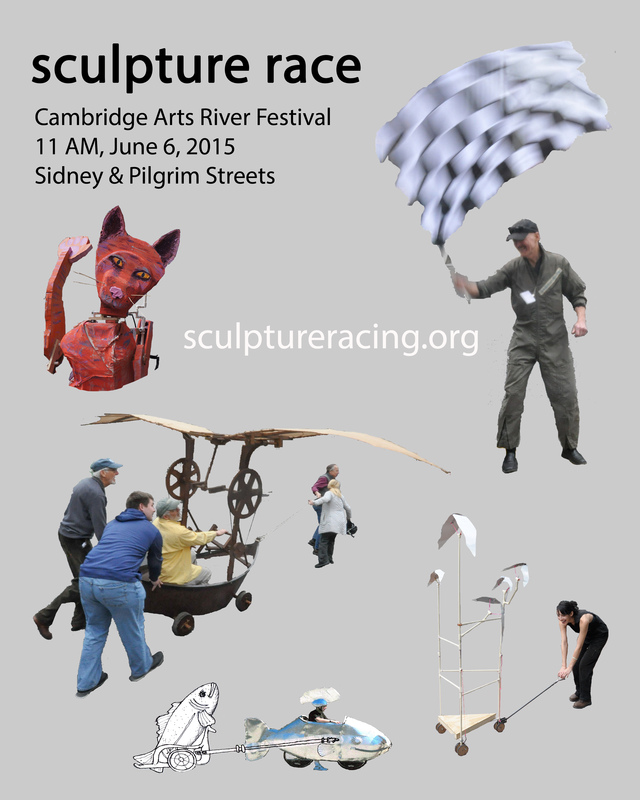 At 23′, Big Fish is the largest sculpture that will race at PSR’s inaugural race on June 6. The following submissions were chosen by our panel of jurors. 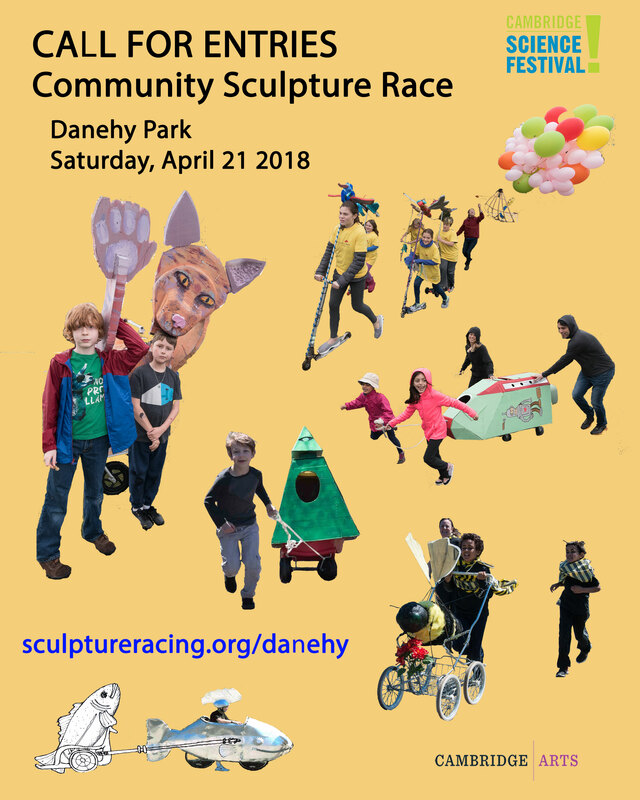 Each contender has an image of their prototype or poster on the Sculpture Racing Design Exhibition page. Those that participated in the demonstration race, the Circumambulation of the MIT Museum are also featured on a page. More, detailed images to come!